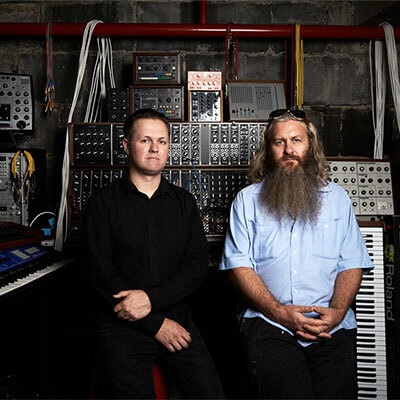 Melbourne Electronic Sound Studio is the brainchild of Robin Fox and Byron Scullin. MESS is an independent not-for-profit organisation dedicated to supporting the creation of all forms of electronic sound and music. Centred on a unique collection of working electronic instruments, MESS is dedicated to supporting the creation of all forms of electronic sound and music. The heart of MESS is the MESS Studio, a fully functioning sound production workshop representing one of the most unique, eclectic and historically significant collections of electronic instruments in the world. Working from within the studio is the MESS School, a place for people to engage with the history, technique and artistry of electronic sound and music creation presented in a format that is flexible, affordable and artist driven. Work created at the studio and school will be supported by MESS Show to promote unique performance events and recording releases reflecting the diversity of sound created at MESS alongside historical releases from the vault of Australian electronic music. Finally, MESS Schematic not only maintains the instruments in the MESS Studio collection, it will offer a space for the development of new instrument ideas focussing on design, engineering and construction.